I used to collect lipglosses. Now I collect serums. My bathroom cabinet is full to the brim with them. You’ll find the occasional cleanser or sheet mask in there, but you’ll have to wade through the sea of serums to get to them. I have one for everything. Retinol for wrinkles. Antioxidants for prevention. Vitamin C for brightening. Hyaluronic acid for hydration. You name it, it’s there. Why the obsession with serums? Cos they’re packed with active ingredients that get the job done. Plus, their lightweight textures sink deeply into the skin, delivering those goodies where they need to be to work their magic. Why not use just the one? Well, you can totally do that. Sometimes, I do, too. In summer, when my skin is soft and plump, I just use an antioxidant serum in the morning and alternate between a vitamin C and a retinoid serum in the evening. But, in winter, my skin gets drier. I have to add a hyaluronic acid serum to the mix to keep my skin hydrated. Otherwise, it dries up, flakes and looks downright horrible. If you’re trying to fix more than one skin woe, then using more than one serum makes sense. 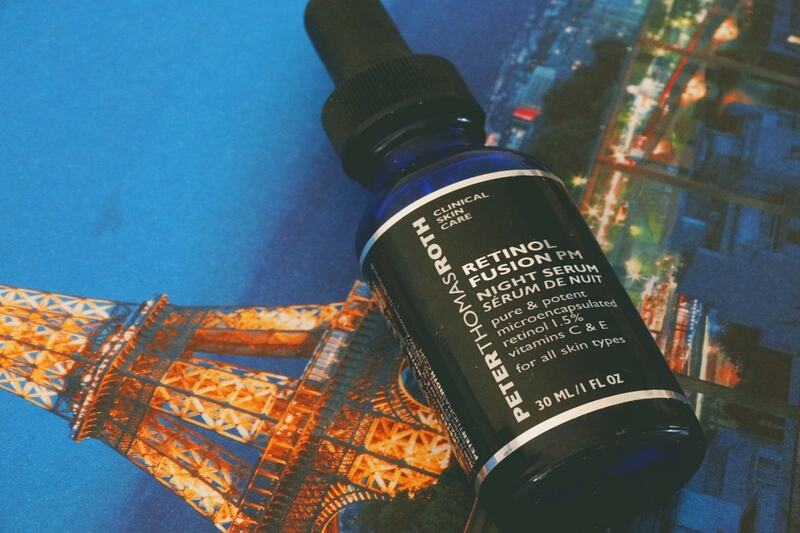 Some serums are multi-taskers, but sometimes, you just need something more powerful. That’s when you use two (or three) separate products. How Many Serums Can You Layer At One Time? Well, there isn’t a definite answer. But, I’d stop at 3. Cos if you add more than that, you’re just throwing money away. Plus, it’ll take you an hour to finish your skincare routine. If you have lots of different skin woes to fix, I recommend you go for a multi-tasking serum and then add one or two to address your most pressing problem. Let’s say, you want to reduce wrinkles, hydrate your skin and fade your dark spots. I’d opt for a hydrating retinol serum (the multi-tasker) and then add a hydroquinone serum to help fade the dark spots even faster. If you have sensitive skin, I don’t recommend you use more than one serum at a time. There’s only so little your skin can take so don’t go overboard! Related: How Many Skincare Products Is It Safe To Use At A Time? What’s The Best Way To Layer Serums? As a general rule, the order depends on the texture. The lightest-textured serums go first and the thickest-textured serums go last. But I also like to take into consideration the type of active ingredient your serum has. Retinoids, vitamin C and anything that targets dark spots should be applied on clear skin to better be able to penetrate it. Let’s say that it’s winter and I’m using a hyaluronic acid serum to drench my skin in moisture and a retinol serum to treat wrinkles. Unless the retinol serum has a far thicker texture than the hyaluronic acid serum, I go in with the retinol first. My reasoning is simple: wrinkles are, for me, a more serious concern that dehydration. I want that retinol to be the first thing that hits my skin after cleansing so I know that nothing stands in its path to the deeper layers. Hyaluronic acid works well even when left on the surface of the skin (in fact, only some types of low molecular weight hyaluronic acids penetrate skin anyway) so it makes sense to apply it later. To make it easier for your serum to penetrate your skin, apply it after cleanser and exfoliating (only if you’re exfoliating that day – don’t do this every time!) but before moisturizer. Your moisturizer has a much thicker texture that makes it difficult for serums to get through it. If you apply your moisturizer first, you’re sabotaging its effectiveness. You can totally layer all the serums you need. Just make sure you apply those with the lightest texture and most important actives first. 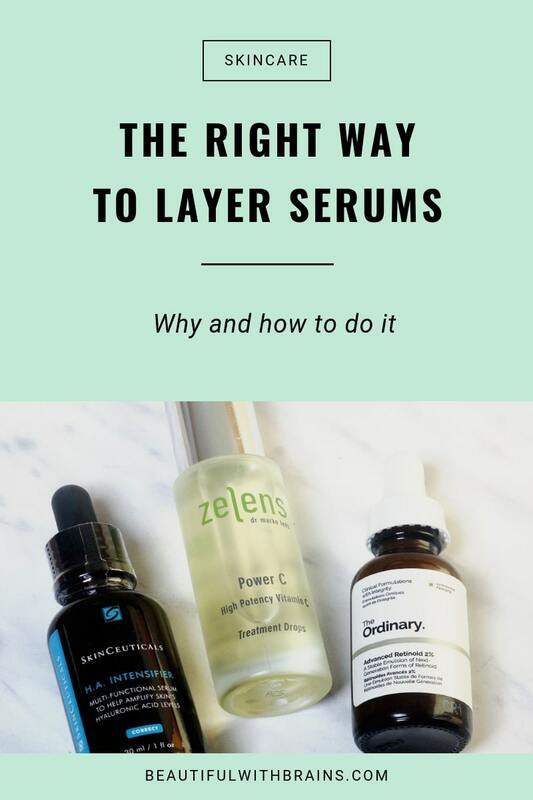 How do you layer serums? Share your routine in the comments below. The Truth About Niod Copper Amino Isolate Serum: Does It Live Up To The Hype? thanks Gio, since reading your blog for a over year i have changed my skincare quite dramatically, now apart from making my own oil cleanse (doing this cleanse suits my skin type) my routine now also includes layering serums, just as I have read on your blog! Myself, I don’t have much to spend but I try to find the most generic I can afford. Even like on a tight budget I see that my skin is improved so much, which is very cool to see a little bit go a long way. I can say with honesty your blog is so useful for me, please keep it up! Thank you so much for all your hard research. I really love reading the science side of your blog, because you effectively explain it in laymans terms, it’s so interesting! Julina, thank you! So glad to hear that my little blog has helped your skin. You really don’t need to spend a fortune to have great skin. The trick is to understand what your skin needs and give it to it. Have you tried The Ordinary? Their products are so cheap but very effective. 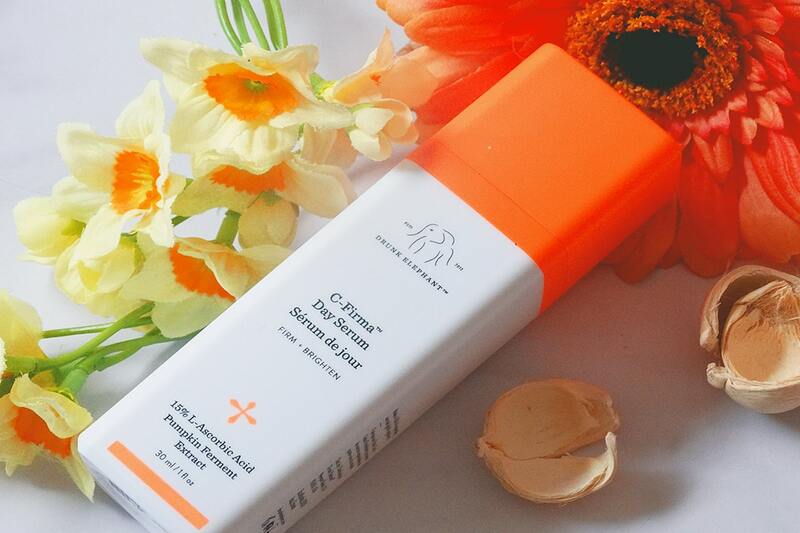 i found you blog researching ‘the ordinary’ line of products, and saw a picture of their retinoid above. sadly, you did not mention anything about the product and did not list it as one of your favorites. why bother with a picture if you have nothing to say about the product (good or bad)? Js, thanks for your comment and your kind words. I didn’t mention the product here because this is a post about how to layer ingredients, not a review. And yes, I did consider adding it to my favourites, but I could only add so many. In the end, this serum didn’t make the cut cos it is a bit more advanced. With retinoids, I think it’s best to start with a lower dose. Hi Gio, i would like to say I truly appreciate the information and your enthusiasm. Would you be able to go a bit more into detail as to layering of products? i use a separate sunscreen (SPF 100, chemical, not mineral) and i think it always throws a wrench in the works as most layering how-tos include the sunscreen within the moisturizer. I cleanse, use a toner, sunscreen, then moisturize in the morning. Where is the most effective place to add in a serum in my morning routine? for mor einformation, i’m in my late twenties with oily skin. for a night routine, should serums and a retinol product be used together after toner? Which should be applied first? My thinking was cleanser, toner, serum, retinol, moisturizer? Julie, thanks for your kind words. When layering anything there are two rules: Lighter textures first and actives first. So, in the morning, use the serum after toner and before sunscreen. Sunscreens have thicker textures than serums and that can prevent the latter from sinking properly into the skin. At night, go with retinol first and serum later. Retinol is one of the most potent actives used in skincare so, to reap its benefits, you want to apply it on freshly cleansed skin (toners are very liquidy, so you can still apply retinol after that and it won’t hinder absorption). Or you can get a retinol booster (Paula’s Choice makes a good one) and mix it with your moisturizer. Jill, are they all from the Ordinary? Can you tell the name of the products so I have a better idea how to put a routine together? Hi Gio, I have 4 serums from The Ordinary and would love your advice on what to use AM and PM. My serums are: Buffet, Niacinamide + zinc, Salicylic 2% and Hyaluronic. In addition, I use a toner with salicylic and Glycolic, and a moisturiser with vitamin A. Oh and sometimes the Go To face oil on top of all that. I’m definitely in need of guidance! Hi Chelsea, in the morning use Buffet and Niacinamide + Zinc. In the evening, salicylic acid (or the toner with salicylic and glycolic), hyaluronic acid and moisturiser. You can add the oil if you feel your skin needs the extra moisture in the morning or evening. Im so excited I ran into your blog. just bookmarked it. I will like to ask a question about my routine and how ro best layer them, its pretty confusing. This is what i currently use. AM: Toner (BHA liquid) – The Ordinary Niacinamide 10% + Zinc 1% – Timeless Vitamin C + E Ferulic Serum – Moisturiser (Stratia Liquid Gold) – Sunscreen. PM: Toner (BHA liquid) – Exfoliant (Paula’s Choice Advanced Smoothing Treatment 10% AHA) – The Ordinary 1% Retinol in Squalene + Stratia Liquid Gold. I will like to know if this is a good routine. Also I want to start using Hyaluronic Acid and will like to know when best to use, AM or PM? What do you advise? Yewande, it’s a pretty good routine but I’d make a couple of changes. In the morning, apply Timeless before The Ordinary Niacinamide. In the evening, ditch Paula’s Choice AHA. You’re already exfoliating with BHA. Adding AHA will just dry out your skin in the long run. instead, apply BHA, retinol and hyaluronic acid serum followed by Liquid Gold. Hi gio. I apply my vit c in the morning as along with all the good stuff it helps with free radicals and helps sunscreen with uva uvb protection. Why do u use it at night? Elissa, I’ve starting using (and recommending) it in the morning too for the same reasons you mentioned. But there’s another school of thought that believes it makes skin more photosensitive and is best used at night. Hi! Mys skin is dry so I want to add the Ordinary’s HA serum to my routine. I understand your skin has to be damp prior to application. So do spritz water, apply HA, then proceed with my serums? Or do I put on all my skincare and then spritz and apply the HA. Thank you! Lauren, I don’t think skin has to be damp, but this trick can certainly help make the most of HA so it’s a good habit to have. It really depends on what serums you’re using. HA should always go after retinol/vitamin C/anything that needs to penetrate skin to work. Wonderful article! I use products from The Ordinary, Synchroline and Oil of Olay´s Regenerist product line (I think that line is amazing). Have rosacea AND oily skin and am starting to get saggy skin and some lines. I still look young, though, for being 47 and I don’t have dark spots and no deep wrinkles. My throat is kind of ugly, though. I use The Ordinary Niacinamide+Zinc, Hyaluronic Acid, Granactive Retinoid 2% Emulsion and The Buffet. I also have and sometimes use the pure Squalane oil. I also sometimes use another brands Jojoba Oil (I kind of like it better than the squalene). I have also used Lancomes Genifique Advanced Sensitive Serum and I really liked that in the mornings. I find all the serums to “sticky” for me to use under my primer and my foundation in the morning except the Hyaluronic Acid which i mix with whatever day moisturiser I am using (I vary my daily moisturiser- sometimes Estee Lauder’s DayWear Matte Oil-Control Anti-Oxidant Moisture Gel Creme, sometimes a zinc moisturiser from Simple, sometimes the aforementioned Lancome Genifique and sometimes NUXE Nuxellence Eclat). Now for my questions: 1. How should I use the Ordinary ones that i mentioned for my night time routine or do I use them correctly by combining and alternating the mentioned ones? 2. Is it ok to use the Hyaluronic Acid mixed with my day cream in the morning? 3. 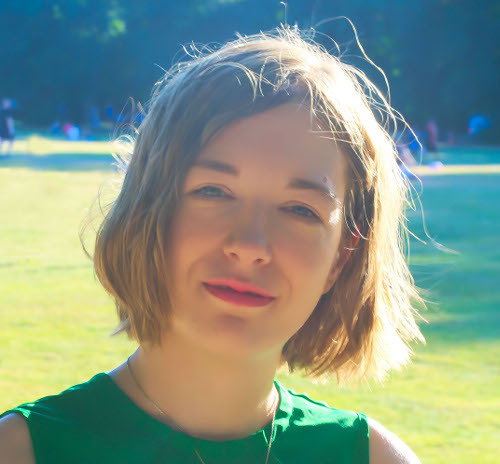 I am wary of vitamin C products because of my rosacea- is there one you could suggest that you know is ok for sensitive skin? Thanks a million! Pia, I think you should use only the products your ski needs. But if you want to use them all, I’d use buffet + niacinamide and zinc in the morning and Granactive Retinoid + hyaluronic acid mixed to your moisturiser in the evening. Yes, it’s ok to mix hyaluronic acid with cream in the morning. I suggested you use it at night so you don’t overwhelm skin with too many products but you can use buffet + hyaluronic acid in the morning and Granactive Retinoid followed by niacinamide in the evening, if you prefer. Vichy LiftActiv Vitamin C Brightening Skin Corrector has only 10% vitamin C so your skin may be able to take it. But ask for a sample if you can first because with rosacea you never know!